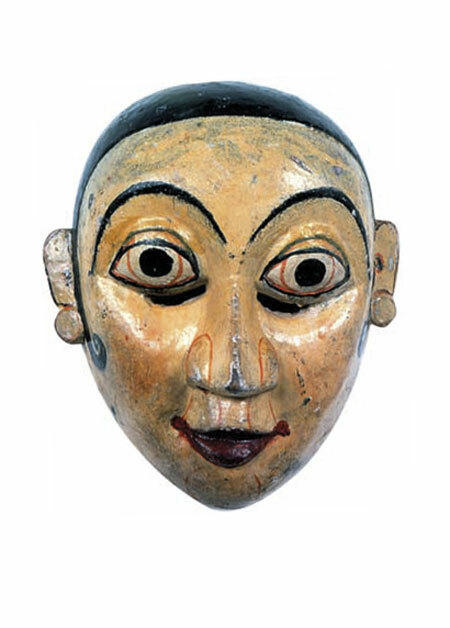 I just came across this wonderful site about masks. How l missed it all those years…? OK. 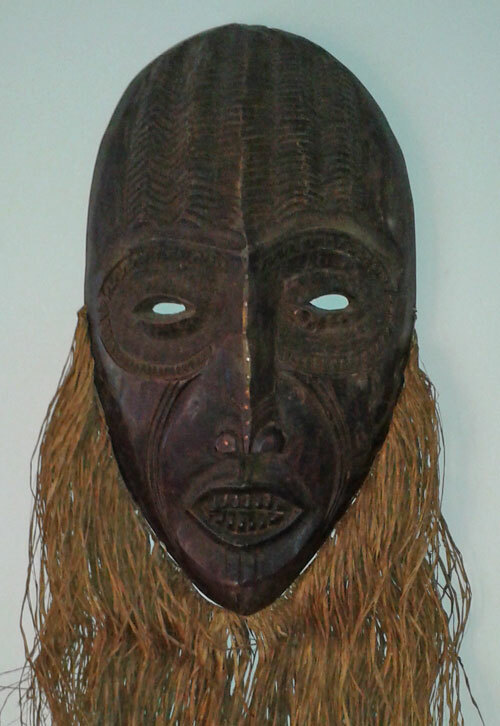 Your mask is very decorative and from north east India from Orissa to bordering with India towards Nepal. I believe made by Rajbansi people. Typical style with bulging eyes. Very beautiful and definitely old, but how old? Just from this photograph without looking at the reverse of it, I would think mid 19th century. Perhaps a bit earlier by half a century. The colours look good with some age. 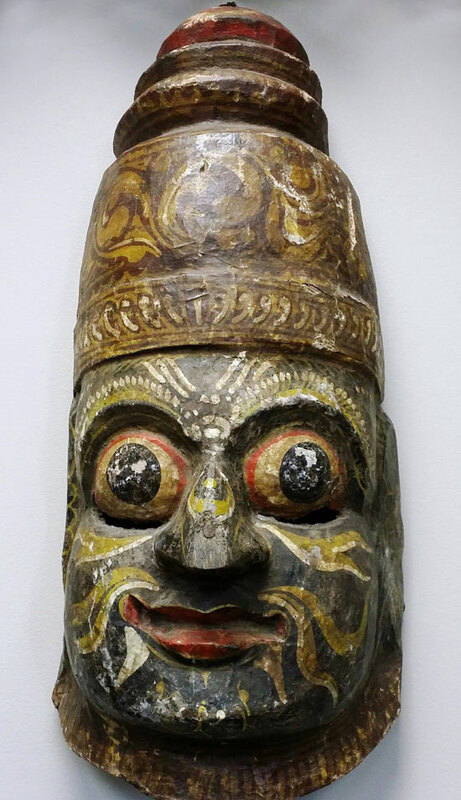 Many such masks may be old but get repainted regularly with garish enamel paints. Yours is very elegant, if you can say this of a mask. These masks were dancers masks made for the representation of the Hindu Epic story The Ramayana. The story is fascinating and goes on for ever. 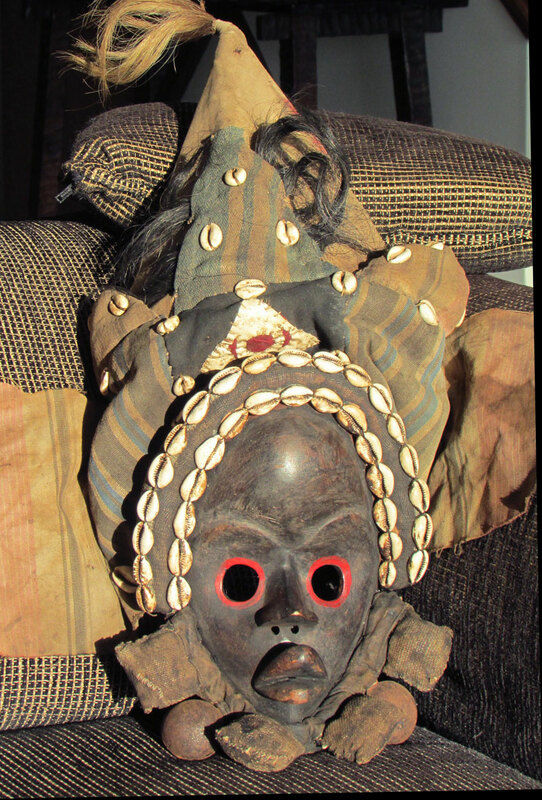 Most communities used to have sets of masks in that part of the world but most have been damaged, lost or sold off (which at least guaranty their existence). With the advent of television, India has produced fantastic epic dramas lasting weeks with real actors and many special effects people in remote rural areas just love. 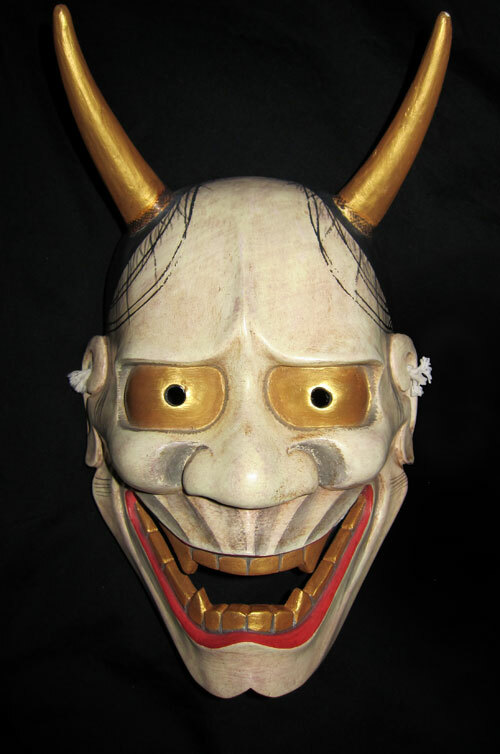 As a result “plays” done by the community with its old masks have practically gone. The mask is definitely not a garuda and not Shiva either. The colours and symbols painted in the mask are wrong for that. 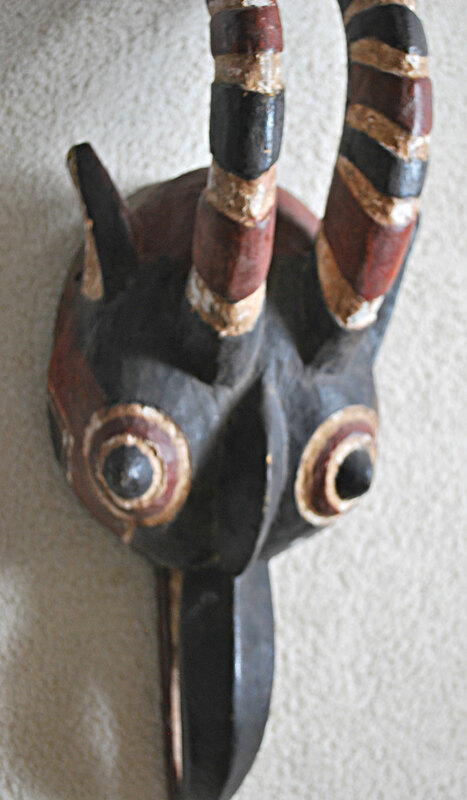 To me it looks like a member of Ravana’s family or perhaps one of his ministers who appear in the epic story. The fangs are a give away. Thank you Alain for the info. Do you know much about wood statues as well? I have a few India statues that I am having a hard time dating.